Sontag's father, Jack, managed a trade business in China and died there when Sontag was five years old. Seven years later, her mother, Mildred, remarried U.S. Army Captain Nathan Sontag. Though Sontag did not ever legally adopt Susan and her sister, they were both given his last name. The family moved from New York City, first to Tuscon, Arizona, and then on to Los Angeles, California. Sontag recalls her childhood as a lonely one; her mother was quite distant. So Sontag turned to books. "I got through my childhood in a delirium of literary exaltations," she told Edward Hirsch of the Paris Review. Though her childhood was full of Dickens, Poe, and Shakespeare, it was also full of war. Sontag recalls hearing about World War II in elementary school, where her best friend was also a refugee of the Spanish Civil War. "For the duration" was one of the first phrases she really recalls pondering. The theme of war would later recur in her writing. As for Sontag's first inklings at authorship, she began self-publishing a newspaper for her neighbors when she was only nine years old. Sontag printed the four-page paper on the hectograph and sold each copy for a nickel, an undertaking she continued for several years. Thanks to Sontag's early, voracious reading, she had skipped a few grades in elementary school. Thus she graduated from North Hollywood High school at 15 years old. She started undergraduate work at Berkeley but soon transferred to the University of Chicago. 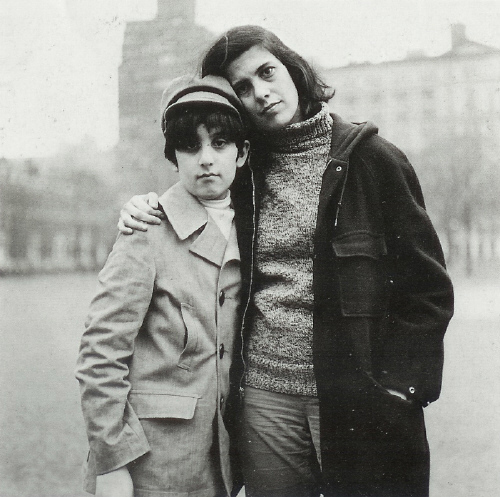 At 17, Sontag married Philip Rieff, a sociology instructor at the university. The two would remain married for eight years and have a son, David. He would later be an author in his own right—and his mother's editor at Farrar, Straus, and Giroux. 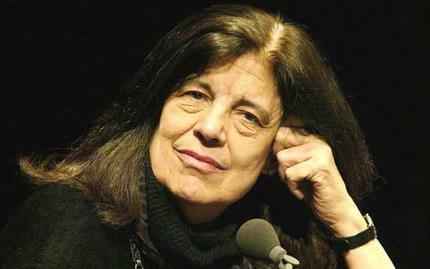 After earning her Bachelor of Arts, Sontag began teaching freshman English at the University of Connecticut. She then went on to Harvard for graduate school, where she studied literature, philosophy, religion, and theology. Her MA is in philosophy. Sontag's doctoral studies were in metaphysics, ethics, theology, and philosophy (both Continental and Greek). In 1957, Sontag began the American Association of University Women's fellowship at Oxford. Unable to settle in there, she transferred to the University of Paris. Sontag's time in Paris would prove a seminal period for her career. She encountered many important thinkers and launched a lifelong association with the art and culture of France. By now her marriage to Rieff had ended, and Sontag returned to New York City in 1959 with Maria Irene Fornes. The pair would live together for the next seven years, during which Sontag would teach at several universities and regain custody of her son. In 1963, Sontag wrote The Benefactor, an experimental novel that didn't garner much attention. Three years later, however, Against Interpretation caught the attention of readers and critics, thanks in large part to the stunning dust jacket by Peter Hujar. The book helped Sontag earn a reputation as the "Dark Lady of American Letters." By 1965, Sontag had left academia to write full time. She published her second novel, Death Kit, two years later. After a journey to Hanoi, Sontag wrote of the North Vietnamese people with both empathy and appreciation in "Trip to Hanoi," published in Styles of Radical Will. Sontag took a nuanced stance on Communism, one that certainly drew criticism from multiple fronts. Yet Sontag never shied away from controversy. She noted that "a writer is someone who pays attention to the world," and that she did. On November 26, 1986, Sontag's short story "The Way We Live Now" appeared in the New Yorker. The work remains a significant one in the AIDS epidemic canon. Four years later, The Volcano Lover was published and quickly became a best seller. 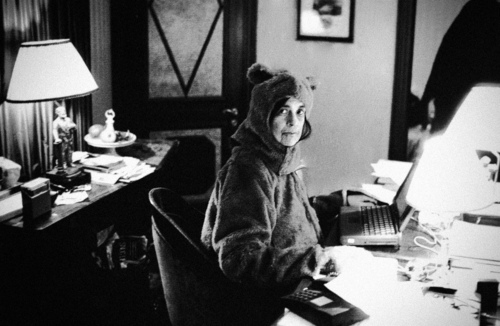 In 2000, Sontag published her final novel, In America. Sontag gained early fame from her essays, which often explored the concepts of high and low art. Her essay "Notes on 'Camp'" introduced the idea that something could be "so bad it's good." Meanwhile, On Photography (1977) delved into the field of modern photography and its role in our world. Sontag frequently championed writers like Roland Barthes and Antonin Artaud. She embraced difficult subjects like our cultural attitudes toward illness. Once called the "pope of existentialism," Sontag was also a role model for feminist writers. As president of the PEN American Center in 1989, Sontag offered unwavering support to Salman Rushdie after Iranian Ayatollah Khomeni issued a fatwa against Rushdie. Her stance was critical in rallying the American community to stand behind Rushdie. Sontag left behind a legacy of exceptional literature and thought provoking criticism. Which modern thinkers or writers do you think have filled her shoes...or can they be filled?